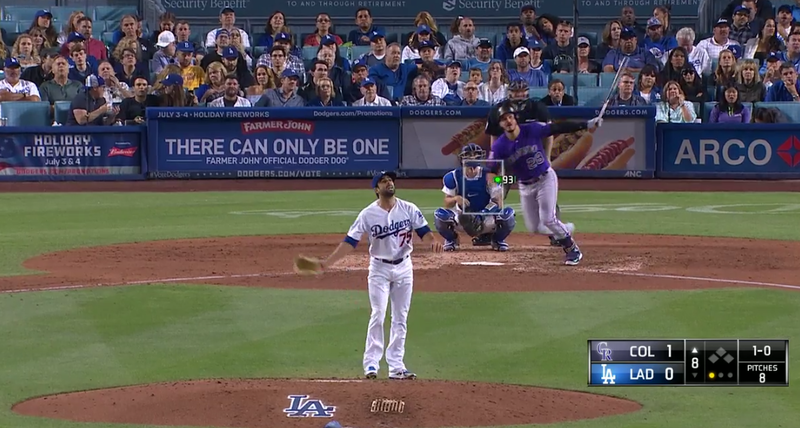 After splitting their series with the Cubs, the Dodgers got their series with the Rockies off to a terrible start by getting absolutely dominated offensively in a 3-1 loss. Rich Hill has been inconsistent in 2018, but he managed to turn in a gem for the Dodgers today. He gave up just one run, via Pat Valaika homer in the 5th, on six hits and no walks in 6.2 innings. Hill gave the Dodgers 110 pitches and struck out 10 batters. The problem? Tyler Anderson was even better. He was perfect through three and allowed just four singles and a walk in his eight shutout innings. He also induced two double plays and struck out eight, making sure the Dodgers never had an at-bat with a runner in scoring position. Scott Alexander gave up a solo shot to Nolan Arenado in his four outs and Yimi Garcia got the last three outs but not before giving up a solo dong to Chris Iannetta. In the 9th, Justin Turner hit a two-out solo dong to left to cut the lead to 3-1, but it was far too little and far too late. 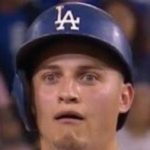 The Dodgers are now 43-38 overall and fall back to .500 at home at 22-22. Yeesh. The saving grace of tonight’s loss was that the Diamondbacks also lost so the NL West deficit is still 3.5 games. The two teams will do it again tomorrow on FOX at 1:15 PM HST/4:15 PM PST/7:15 PM EST, with Kenta Maeda taking the hill against German Marquez.